"Holding Space" is a simple yet very profound way to support someone. When we hold space for others we are just present, listening deeply, witnessing their joy, their pain, their experience. When we hold space for ourselves we are honouring who we are, listening to our bodies, feeling our emotions, energizing our experience with our attention.. What a wonderful opportunity to move deeper into the moment and drum up this good and healing energy with all of you. The time of Spring Equinox (also known as Ostara) is traditionally a point in astrological calendars of celebration, re-birth and cleansing. This is the time when we emerge from the darkness of winter into the fresh and lighter energies of springtime. You are invited to celebrate with us in community circle! All are welcome and no experience in drumming is necessary. We will also provide vegan snacks. ​Spring Equinox is a powerful time of returning to our innocence, of healing old wounds and celebrating new life, of opening to the countless possibilities of growth. Please join us as we step further into rhythm with Mother Earth and embrace the changing seasons of life. What a wonderful opportunity to gather in sacred and intentional community and drum up the energies in celebration of all that we are..
​It takes courage to open to the mystery of our creativity and to live our life calling. It takes courage to walk the path of integrity, to be who we truly are, to bring forward and express our unique talents and gifts. It takes courage to truly show up for this great and beautiful gift of life. What a wonderful opportunity to gather in sacred community and drum up the energy in celebration of all that we are. Just arriving home from our Travellers Joy Star Jaguar Yucatan pilgrimage (a few days ago). For All that was received, remembered and released. For the sharing of sacred space and for the support of the circle. For the guidance of the Ancient Ones and the whispered wisdom of the sacred sites, trees and the land. For fresh perspectives, new visions and shared wisdom. For the sweet scents and the gentle breeze. For the sunshine and the rain. For the generosity of the village and the blessings of community. For the songs and heart beat of the drum. For the womb of the mother. For the stones, fire and sweat. For the richness of flora and fauna and for all that nourishes and supports our growth. For the wagging tails and the fierce purring of Jaguars. For the hands to hold and the ears to listen. For the Bees, Butterflies, Bats, Snake, Rat, Pig and Pelican. For the Bird song and barking of Dogs. For the pink feathers, deep blue green waters and white healing mud. For the faeries and the Dragons. For the faith and prayers for the future. For the dancing and movement of the Archetypes. For the laughter and for the tears. For the centre and space to share and Be and celebrate our inter-connectedness. For the strength and softness of our edges. For sweetness of chocolate. For the beauty of the stars and the bending time. For the lucid dreams and synchronicities. For all this and more thank you, thank you, thank you. Traveller’s Joy presents the“Star Jaguar”Pilgrimage to Ancient Mexico. A ten day journey into the heart of the Maya Yucatan with; Shamanic Grandmother Nancy Dancing Light Sherwood, Shamanic Grandfather David Cameron, Lori Folkins ~ “Lorriii Dragon Dream”, Brenda Marita Mason ~ “Spirit Whispers” and Jeff Smyth. You are invited to join us as we journey between the realms of yesterday, today and tomorrow, asking the Ancestors and the Spirits of the Lands to awaken the sacred within us and to reveal to us ancient secrets and universal truths. Our home-away-from-home for the duration of our journey will be the uniquely inspiring Genesis Eco-Oasis http://www.genesisretreat.com/ located in Ek Balam Village near the Ek Balam pyramid complex, one of the most pristine, and lesser known Mayan archaeological sites. During these times of great division and change in our world; environmentally, socially, culturally, economically and politically, we are putting out the call to humbly come together in remembrance of our interconnection and belonging. To explore within a safe community of Kindred Travellers, how to respond individually and collectively to change. Through the ancient art of Pilgrimage we wish to connect with the spirits of the creative people, who mapped the movement of stars and left behind remarkable pyramids, spiritual mysteries, mathematical wonders, extraordinary architecture, unique cuisine, language and much more. And who also faced a similar paradigm-shift which is occurring in our world today. They are also said to have left behind messages and instructions for sustainability hidden away for future generations to find. The shamanic and practical goals of this journey are to access this legacy from the ancestors and from living exemplars. Through intuition, observation and heart we hope to learn from a land where water is precious and to focus on how village life has sustained the Mayan people to the present day, by participating in a little of their daily life, as well as taking day excursions to cenotes, caves, ancient ruins, museums, and nature reserves in the area. We will learn about plants with local expert, Jim Conrad, animal & bird life on the coast, explore off-the-beaten-path sacred sites, and spirit-track the wisdom of the ages contained in the non-ordinary realities local to Mexico and to our common ancestors, the star-beings (one translation of Ek Balam is Star Jaguar). This trip may include occasional discomfort, sweat, laughter, spiritual warrior-ship, tenderness, feasting, grief, compassion, creativity, and wild joy. In other words, living fully, through the contributions of Ancient culture, lands and point of view, which will bring us more of what we need to know. Sacred Sites, Swimming, Colourful Magical Town Visits, Ancient Artifacts, Stone Roads, Ancient Cultures & Mysticism, Connecting with Plants, Beautiful Shorelines & Turquoise waters, Connecting with the Elements, Healing Ceremonies, Drumming, Wild Path Walking, Community Celebration, Optional Sweat Lodge, Dancing, Storytelling, and Singing...and much more, remain possibilities within all of the above. We only have space for 5 more pilgrims to complete our Circle of 22, including the 5 who form Pentacle of Support & Protection, so if this calls to you please contact us soon > Nancy, David C, Brenda, Lori and Jeff. Arrive BEFORE 4:30 pm at Cancun International Airport. We gather at the Airpowww.facebook.com/events/156349051971231/?ti=iclrt to take Chartered Bus to our home away from home Genesis Eco-Retreat http:// www.genesisretreat.com/. Spend the day in the village, Ek Balam - Traditional Maya Village; Cycling, Walking, Learning Weaving, Learning Mayan (Exchange for English). February 6th: Travel to by Chartered Bus to Ek Balam - Ruins & Cenotes. and it is just a stone’s-throw from Genesis. Older, and once more powerful than Chichen Itza, Ek Balam was the political and spiritual heart of northern Yucatan. Its acropolis is among the largest pre-Hispanic buildings in Meso-America, laced with stairways, hidden passages, rooms, and temples. -Explore Izamal - From its over 80 pre-historic structures and stone roads called sacbeóob (ways) to the ancient Maya culture and mysticism of its deeply rooted traditions, Izamal (also called the City of Hills) is considered to be one of the oldest cities in Mexico and continues to be a regional place of sacred pilgrimage. 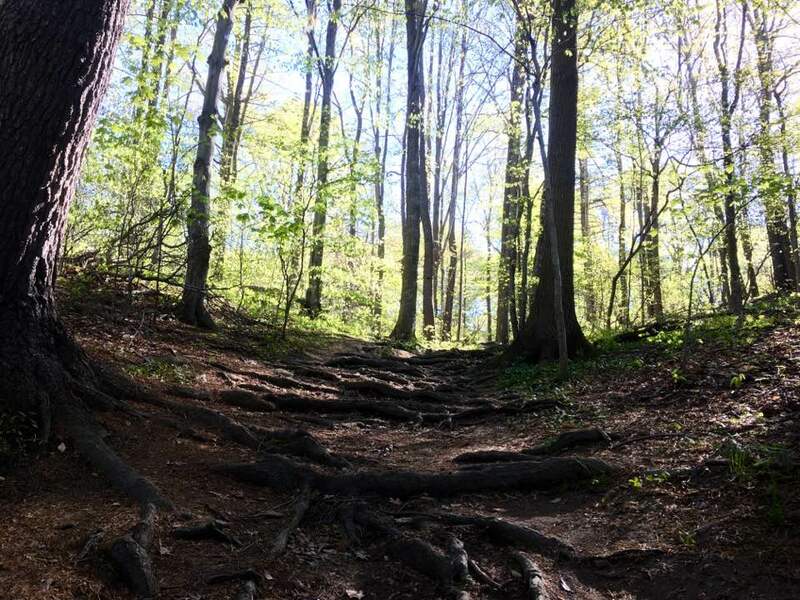 February 8th, 9th, 10th: Days of Retreat at the Genesis Eco - Oasis, Optional Sacred Sweat Lodge, Farm Visit, Cave, Group Ritual Ceremony/Healing, Connecting with the Land, with each other, One Family. February 12th: Day trip to Valladolid, Cenote. A beautiful colonial town, located in the heart of Maya Yucatán, Valladolid. Valladolid is said to be full of flavours, colours and ancient traditions. Also known as "The Heroic City" Valladolid is located where the Maya originally established the city of Zaci and is a place of several sacred Cenotes. -Chichen Itza - Ruins & Cenote. Step back in time and discover what was once the bubbling centre of the ancient Mayan civilization at Chichen Itza. Now known as one of the new seven wonders of the world, Chichen Itza is a must-see when visiting the Yucatán region. February 13th: - Traditional Maya Village, Plant walk, Farm visit and more. - Optional Traditional Style Pig Roast Celebration and Lee’s for Vegetarians. February 14th: Goodbyes and Home. Travellers Joy Fee $1650CAD-includes shared cabana & breakfast each day. Also included are group ground transport, site entry fees, TJ guides and facilitators. Fee schedule: $550 to TJ upon commitment to journey (non- refundable), second payment $550 to TJ Jan 04 and $550 to TJ in pesos on arrival. There is an ATM in Ek Balam or travellers can purchase pesos ahead of time from their own bank. Fees (CAD$) include: shared accommodations, breakfasts, ground transportation, entry-fees, boat-rides, and some special meals. Not included: flights, tips, lunch & dinner. Note: Meals @ Genesis will be delicious local vegetarian-but we'll have an amazing carnivore lunch (optional for vegetarians) @ a nearby town famous for smoked meats and a family-prepared traditional Mayan "Pib", or pig-bake, in Ek Balam Village! Please contact us: info@earthsea.ca for more information etc. NOTE: As seats are limited this offer is extended on a first-come-first- served basis until the 19 seats are filled. We will give notice when that point is reached. Also please note that all TJ pilgrimages have a very strong subtext of community building. If you wonder what the better world could be, a pilgrimage with TJ offers a delicious taste! Anyone not interested in participating at that level would be best advised to not apply. Lunches run around $10 and dinners $12. Figure $26 a day x 10 = $260 (3800 pesos). Some lunches/dinners @ Genesis will be on your own tab there & some in restaurants, pay as you go. There will be one special meal paid by TJ. There is an ATM in Ek Balam for obtaining pesos using credit cards & debit cards but it would be good to have 5-6000 pesos with you. I recently read that the cross cultural definition for the word “prayer” is to Set Sacred Intention. In todays world of instant information, it is certainly tempting to focus our thoughts and energy on what we feel is not working in the world. To me, Setting Sacred Intention is about choosing to focus on what we want to create and amplify in life. It’s about opening to the creative and abundant energies of unbounded and unthought of possibility. It's about giving one hundred precent of ourselves to the great gift of life. What a wonderful opportunity to gather in sacred community and drum up the energy of all that we are. May we all become more aware of where we are in relation to the seasons and the cycles of Nature, to the movement of the Sun, Moon and Stars. And in this awareness may we be blessed with a deeper connection to ourselves, to one another and to All of life. Happy Solstice everyone! I recently heard the word “Spirituality” defined as “A Search for the Sacred.” So to me “Awakening the Sacred” could also be “Awakening our Spirituality” or “Awakening our most Divine expression.” Who are we when we are at our best? Who are we when we are truly expressing and being our Divine selves? What is Sacred to us? The world needs our gifts and medicine and to me every moment is sacred and precious and an opportunity to uplift and bless everything we encounter and everyone we meet, with our medicine. What a wonderful opportunity to gather together in sacred community, on this magical and sacred day 11/22/11, in celebration of all that we are. Another magical and power-full journey of connecting with the Ancestors, with the Land and of connecting with the source of all life that’s within us. Of honouring our sacred paths and listening to and trusting our guidance. Of acknowledging the mystics and awakening the Dragons. Of sparkly stones, Ravens, Merlin and Moose.. Of honouring the witches.. Of Sasquatch calls and Sacred Waterfalls, of spirals, circles and cairns. Of forgiveness and gratitude. Of Community support & Celebration. And so much more. Thank you to Meg and Vicki-lynn for listening and sharing, for the songs and the laughter, for your vulnerability and support..
​The intention for this circle was about returning home to ourselves, home to our soul, to our hearts, home to wholeness. Home to a place where we are free and inspired to Be and share who we are, to a place of where ever We are We are Home.. About standing in our power and acknowledging that we belong to each other and to the Earth. To the nourishing beaches along the beautiful coast, to the wide desert land of Death Valley, to the breath taking Sierra Nevada Mountains, to ancient Oaks, Cedars, Joshua Trees, Pine, Juniper and Giant Redwoods, to winding roads and deep canyons, to the preciousness of water and breath, to the lonely Elk calls, to the sweet moments with cherished love ones, to the clear skies and clear vision ~ Thank you. "Just arriving home, a few days ago, from our Reunion of Souls journey to the Ancient Lands of Scotland. Such a meaningful and power-full journey of reconciliation, re-visioning and remembering. Of open hearted sharing and deep listening. Of singing and dancing and drumming in sacred community. Of dismemberment and rebirth, of disconnecting from wifi and reconnecting with ourselves. Of honouring and celebrating the stories of the Ancestors. Of reconnecting to the Spirits the stones and the bones. Of reconnecting with the spirits of the Skies and the Winds. The spirits of the water falls, rivers, lochs and ocean inlets. Of awakening our wild side and befriending our monsters. Of touching the Earth with our hands and our feet and deeply connecting with Mountains and surrendering to the Forest Mystery. Of connecting to the Crystal Spirits, Dragons, Elementals, Faeries, Elves and all the magical creatures of our mythic history. Of sharing our tears and our laughter. Of awakening and honouring the fires of passion within and honouring all those who came before us, all those who sacrificed their lives so that we can joyfully, freely and safely express who we are. And so much more. "It's in the Air, breathing deeply.. It's in the Earth, beneath my feet..
as the Birds sing it to sleep..
with a strength that strength implies..
in words that words disguise.."
I am Wolf, Fur and Fang, Snout and Paw, Wild and free. I am guardian of the wilderness and Protector of the Pack. I follow my own path of ancient wisdom and instinct into the deep wood. If you listen, you will hear me howling at Grandmother Moon, with my brothers and sisters in celebration of the catch. Run with me and I will teach you to trust your instincts and together we will honour and remember our wild side within. I am the Sun that reveals all that I am" ~ Earth Song by Me Lorriiii. 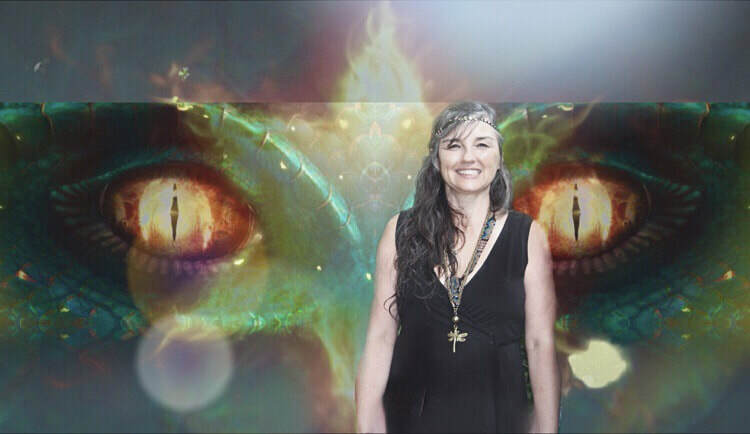 A thirteen day journey around the Celtic Wheel with Shamanic Practitioners, Brenda Marita Mason ~ Spirit Whispers and Lori Folkins ~ Dragon Dream Spirit Healer. You are invited to join us as we tap into the ancient wisdom and knowing of the Ancestors and step further into alignment with the rhythms of Mother Earth. 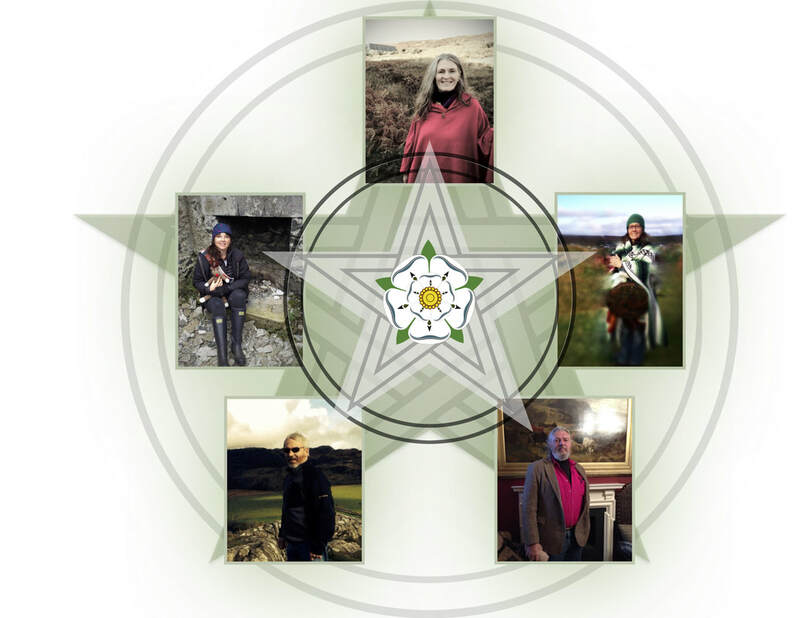 During this 13 day experiential pilgrimage, our intimate group of 13 pilgrims will travel Ancient Ireland celebrating the 8 Festivals of the Celtic Wheel of the Year. Through sacred ceremony and working closely with the Spirits of Place, Elementals and Faeries, our intention is to harmonize our energies with the powerful energies of the seasons and the elements, to explore where we are in relation to the cycles of Nature and the movement of the Sun, Moon and Stars. To discover the ancient knowledge of the Ancestors and in turn establish a deeper connection with ourselves, each other and all of life. "​Spirit Drumming “Honouring the Spirits of the West". Travellers Joy 2017, http://www.travellersjoy.ca/ 20th Anniversary of Tours with Spirit: Traveller's Joy is delighted to announce a Spring Pilgrimage to Ireland for 2017: Nancy Dancing Light Sherwood, Brenda Marita Mason ~ Spirit Whispers and Lori Folkins ~ Dragon Dream Spirit Healer are holding an intention for your passion to experience the Celtic Wheel on sites of power around Ireland. We are making this offering to honour our ancestors and dedicate this tour to the evolving spirit of New Paradigm shamanic journeying. Nancy says, "I am so excited to have Brenda and Lori take you to one of our favourite sacred islands. They will be your capable and well trained leaders for this pilgrimage. You will be in good hands. I will be holding space on Turtle Island and in Hawaii so that the three of us can join with Gaia through land, sea and sky. We are carrying the legacy of the sacred flame in our hearts through the practice of pilgrimage. May our collective and growing consciousness on the planet be illuminated by spirit-led travel. " 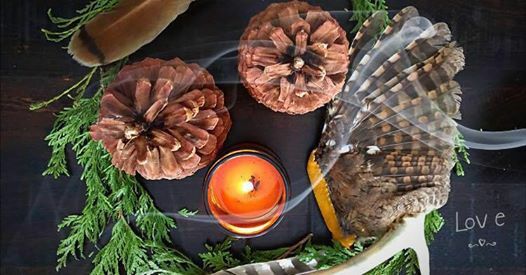 ​Join Lori Folkins "White Wolf Mother" and fellow Shamanic Practitioner/Moving Mandala Teacher Brenda Marita Mason "Gentle Buffalo Woman" as we Journey into the rainbow into the mystical space between our thoughts and dreams where the sky meets the misty waters and we are able to see and express our true potential.. I believe that we are all born with Unique and Original medicine, which we are meant to embrace and share. That it takes great courage to walk in authenticity, to stand up and be who we truly are. By gathering our medicine we are better able to serve the world, to face the unknowable and befriend the mystery. Better able to do our heart/soul work and to break Ancestral/cultural and personal patterns which block us from giving and receiving love. What a wonderful opportunity be in sacred and intentional community together and to drum up this powerful and healing energy in celebration of all that we are. "My wildness roars and thunders and shakes with laughter. We invite you to gather with us in the beautiful and nourishing energies of Grandmother Moon in celebration of her fullness and the coming of Winter. Winter Solstice is a special time of Renewal, Rejuvenation and Rebirth. It is a powerful time of growth, of harmonizing our energy and assessing our life path and purpose, a time to acknowledge and release old patterns. Join us as we move into alignment with the rhythms of Mother Earth and embrace the changing seasons of life, tapping into the ancient wisdom and knowing of the Ancestors. What a wonderful opportunity to gather in sacred and intentional community and drum up the energies in celebration of all that we are. ​Spirit Drumming "Honoring the Spirits of the South"
​"Spirit Drumming “Offering Patience to Ourselves and Others”. ​The body has a natural intelligence, knowledge and wisdom that is constantly speaking to us through our intuition and our senses. It was born with us and is our loyal and sacred companion though out our lives. Our bodies are our first line of defence and since our bodies are made up of the elements when we honour our bodies we also honour Mother Earth and All that is. Among other things, to me this is about embracing and celebrating all aspects of ourselves in unity and in wholeness. What a wonderful opportunity to drum up this powerful and nourishing energy in celebration of all that we are." 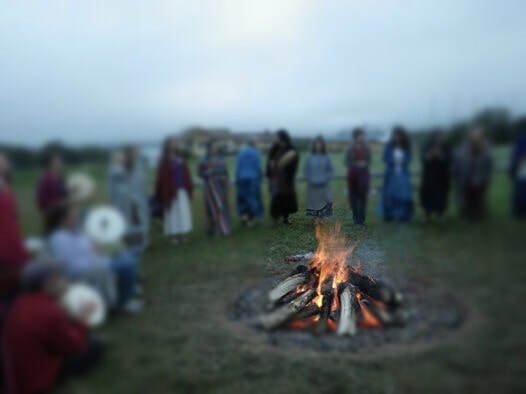 ​Spirit Drumming "Walking Through our Fears"
Over the last seven years I have been to countless events that Lori has hosted, and whether it be a few hours at a Drum Circle, a Fire Walk or a four day Moving Mandala, Lori is always present in the moment. She honors her teachers and the wisdom of those who came before us, while making the practice her own and gently guiding others along their own path. As a healer, Lori's talents are many, I have had many great releases, realizations and breakthroughs under her care. Whether from a Soul Retrieval, Reiki Healing or Card Reading, she is insightful, open and unimaginably generous of heart. Always ready with a song, you can count on Lori to be fully committed to any en-devour she undertakes with great enthusiasm, and commitment. I am grateful every day that I had the good fortune to meet Lori. Her guidance, healing hands and heart have helped me through some very dark places. I can't imagine who or where I would be today without her. Eternally grateful, in this life and the next. I have known Lori for more than six years. We met over the love of animals. She was kind, caring, and always very spiritual. I wondered how she stayed that way in these crazy times. I confided in Lori about an incident that left me very upset. I wasn't sure how to handle it. She listened patiently and then asked me if I would like to drum with her and a few others. The night I went to drumming, I was very nervous and I really didn't have a clue want was going to happen. I wasn't pressured to do anything. That night changed my life forever. I felt free, calmer more spiritual and had inner peace for the first time in a very long time. I didn't realize at the time I was grounded. I could handle my problem, in a positive way. It wasn't a one time fix but, what a great beginning, to a new me. Every time I can drum, participated in a Moving Mandala and/or fire walk, I do. I become a stronger, more spiritual and positive person. At peace with the world and more importantly at peace with myself. Thank you Lori for showing me the way. I have gotten to experience the workings of Loriii! I have attended a Celtic retreat and my first Moving Mandala just this fall in New Brunswick. May I stress the word first as in my heart I believe there will be more I attend. On that note Lori has a soft and gentle nature while teaching. She also carries the structure and discipline to keep on course. The gifts with in Myself that I came home with after attending both events I personally can not find the words to quite explain. The changes are subtle but far reaching. Every time I release a piece of baggage it makes me very proud to know I release it for my ancestors also. I came home and looked into my sons eyes and thought and felt how I am releasing these things so my son doesn’t have to play this part out. The work done at these shops will last longer than your physical body. "Thank you, what an awesome, life changing night. I will never be the same." M.M. for a powerful evening of drumming and empowerment at last night's Spirit Drumming - Empowering Ourselves. I found it empowering and awakening. It was a pleasure to meet you and so many other wonderful people. Thank you" ~ C.harmaine G.
"Thank you Lori for your guidance and inspiration of such a magical circle last night. Its hard to find the right words so I am going to steal some of them from my friend, Gisele, from The Barber's Daughter who wrote them on one of her magical rings that she creates. I have adapted them You guide us to "find inspiration and meaning, soaked in the wonders of " spirit and our ancestors, "cradled in compassion of the heart and you hold a will" for us all "to make a difference". "I so want to thank everyone at the circle for 'initiating' my new Spirit Name. I am beyond grateful for that experience and at this incredible time and to share it with such a Powerful and Beautiful Group. I am humbled. And to you Lori - I have no words - just LOVE! Thank you thank you thank you. You have all given me strength to go forward on this next leg of my journey and to stand up in the challenge and know thta all is well. Love and Blessings." L.S. It was a pleasure to meet you and so many other wonderful people. Thank you CG"
"It was an honor and a blessing to be there last night Lori. Thank you for holding such sacred space! I received much healing and woke up feeling light as a feather!! Love, peace. light to you "A. E.
"Thank you Lori, for creating a sacred space of support and nourishment! And fun! Thank you for the guidance and direction that you offer and for the opportunities created for all who come to express themselves and show up in the best way they know how. "I’ve been so fortunate to experience the impactful work of Lori Anne. In a world filled with Chaos, Lori Anne is the “Calm” and a true inspiration!" ~ Anna Scott- Intuitive Artist. Loriiii brings the group to presence, by the example of her divine self. She has an ability to bring the group, no matter the size to oneness, unity, spiritual connectedness and love. A.D.
Lori’s humility, dedication, wisdom, courage, honesty, and generosity boil down into that healing kind of love that inspires and motivates. J.D.